AverLogic, whose products are available through Glyn High-Tech Distribution , are announcing the release of their NVS-6000 H.264 Network Video Server / Display Module. The newly designed NVS-6000 uses the H.264/AVC (MPEG-4 Part 10) compression technology and provides real-time high quality audio and video streaming. NVS-6000 delivers the same quality as MPEG-2 at one third to half the data rate and up to four times the resolution of MPEG-4 Part 2 at the same data rate. NVS-6000 compresses NTSC/PAL video signal with different resolutions (Full-D1 max.) into H.264 Baseline/Main profile stream. It also provides different audio stream formats whenever the audio compression algorithm is used. NVS-6000 can work as either Transmitter (Server) or Receiver (Display). There is a BT.656 output interface for connecting external display driving device. Applications for NVS-6000 include high quality AV content distribution in the home and over the web, IP camera, and building and office security. 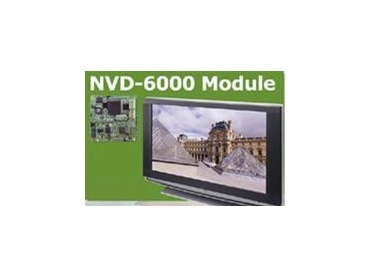 NVS-6000 demo units will be available by March 2009 with EVBs (modules) available by April/May 2009.